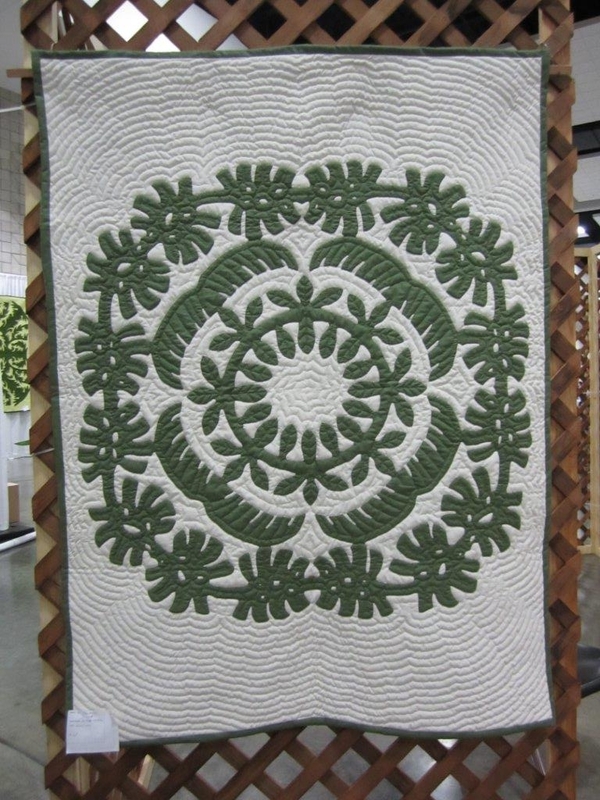 Hawaii Quilt Guilds - Hawaiian Quilting With Poakalani & Co.
Back in Tutu’s days they used large quilting frames they called horses today we use 14″ quilting hoops because our homes are smaller and the hoops are more portable. 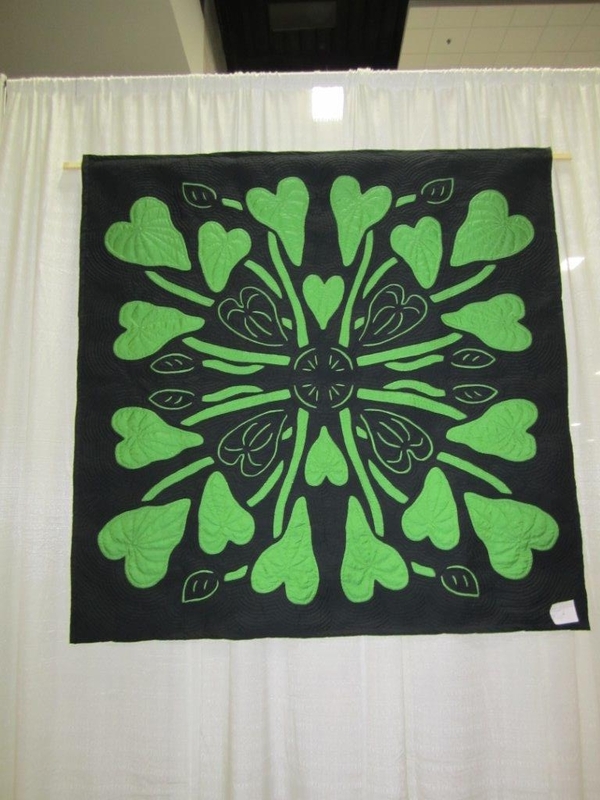 Volcano Quilt Guild – Big Island Volcano Village on the Big Island of Hawaii. 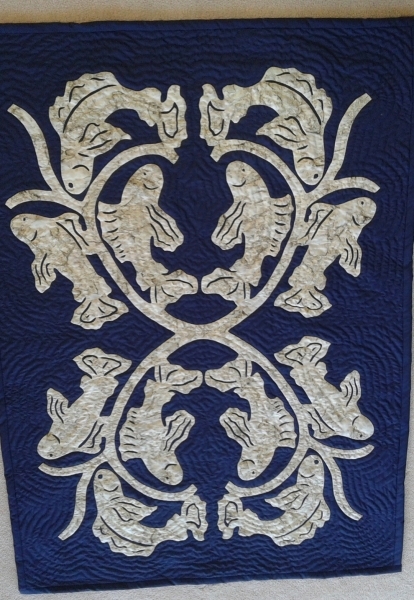 Meets 6:00pm on the 1st and 3rd Wed. evenings of the month. We are a “loose” group of about 15. 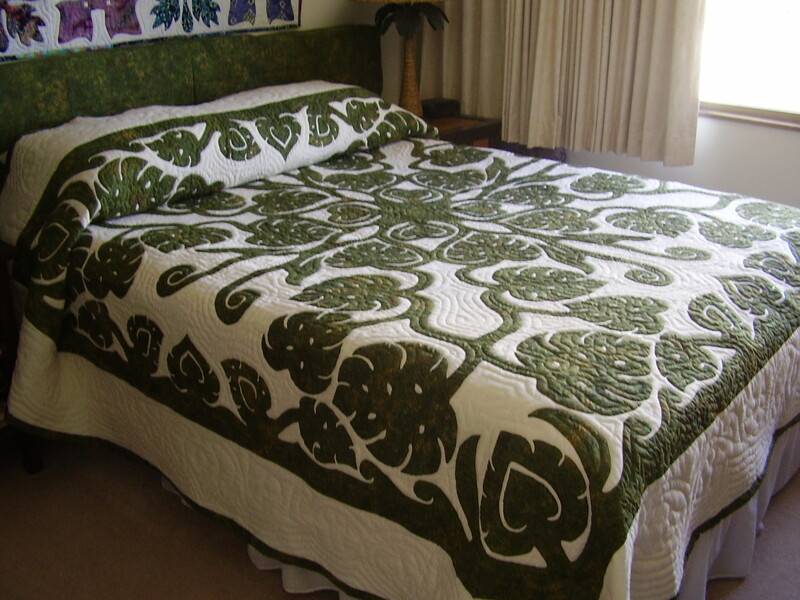 Some do Hawaiian quilting. The rest do everything else imaginable. We love visitors and new members. 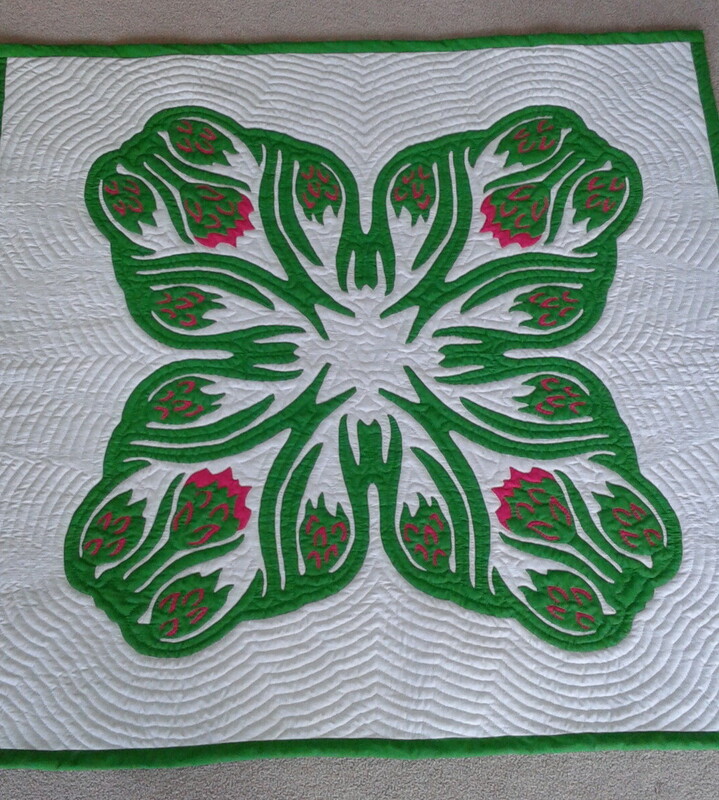 We’ve done field trips, challenges, Project Linus, shows, and a group quilt. Our favorite part of each meeting is “show and tell”. Mostly we support women and their creativity. 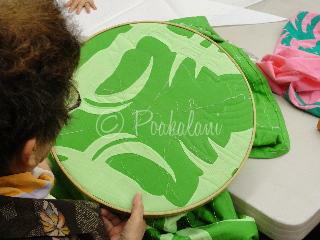 For more information call Kilauea Kreations at (808) 967-8090. 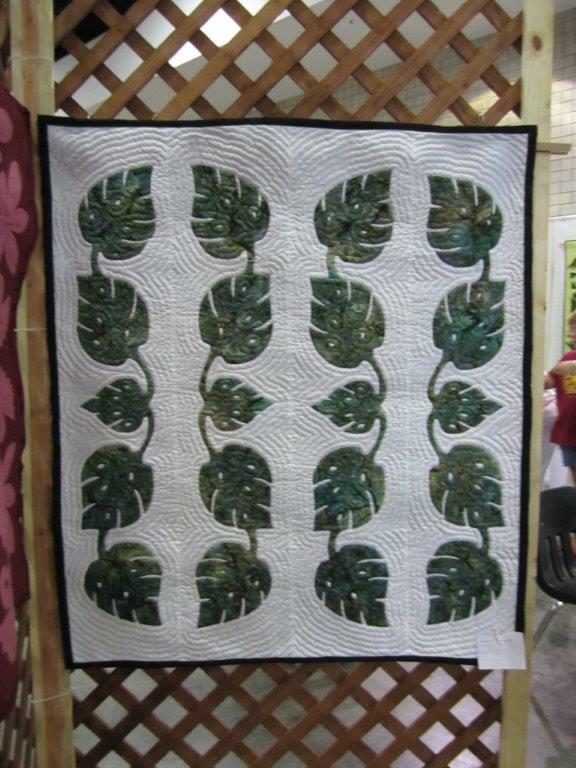 Maui Quilt Guild. 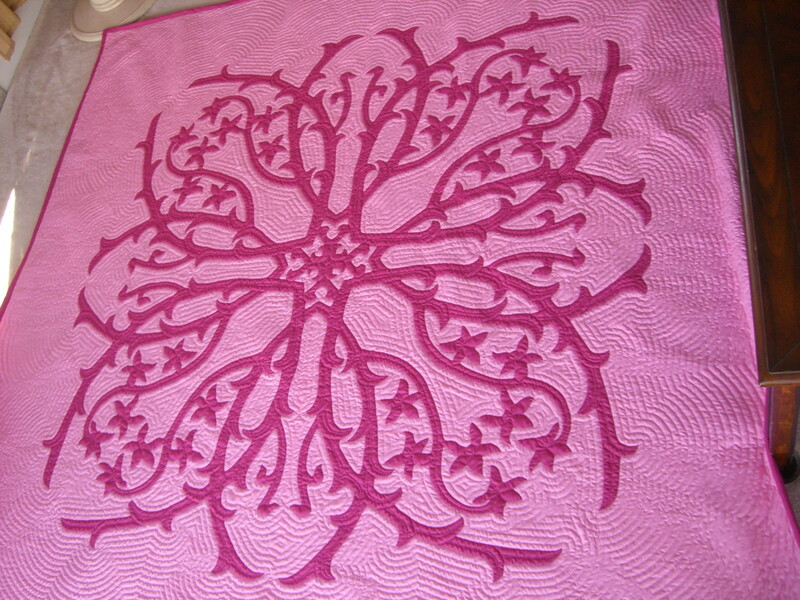 The Maui Quilt Guild meets monthly on the First Tuesday of the Month at the Hale Mahaolu Elima Community Center. 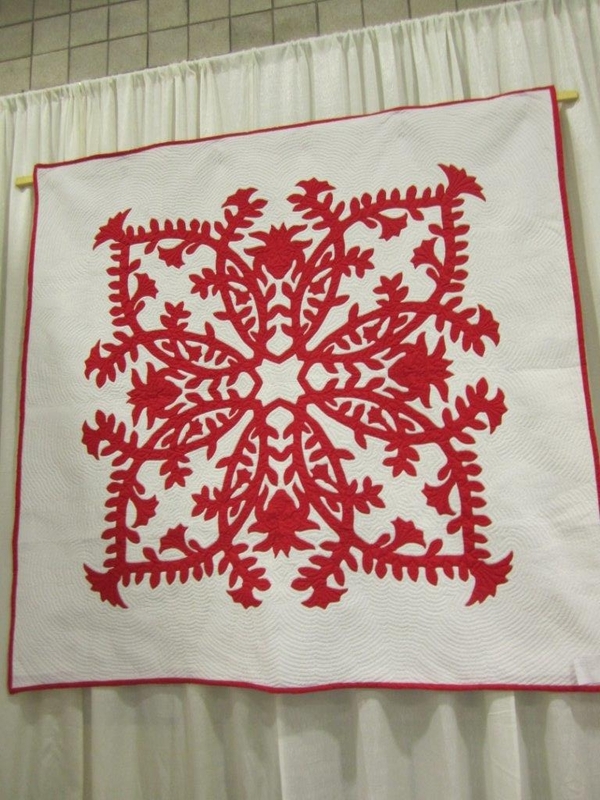 Our membership averages about 100, with annual dues of $25.00. 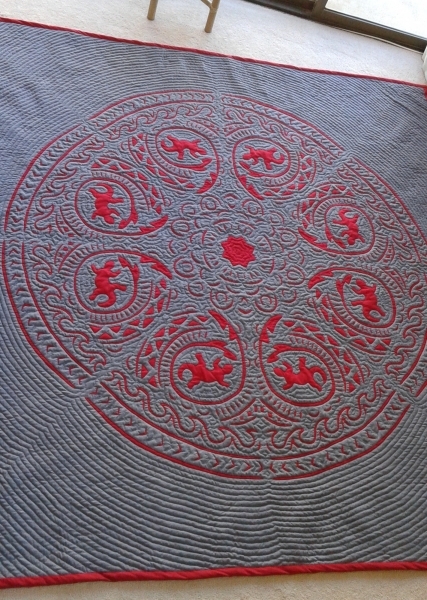 For more information, please see our website. 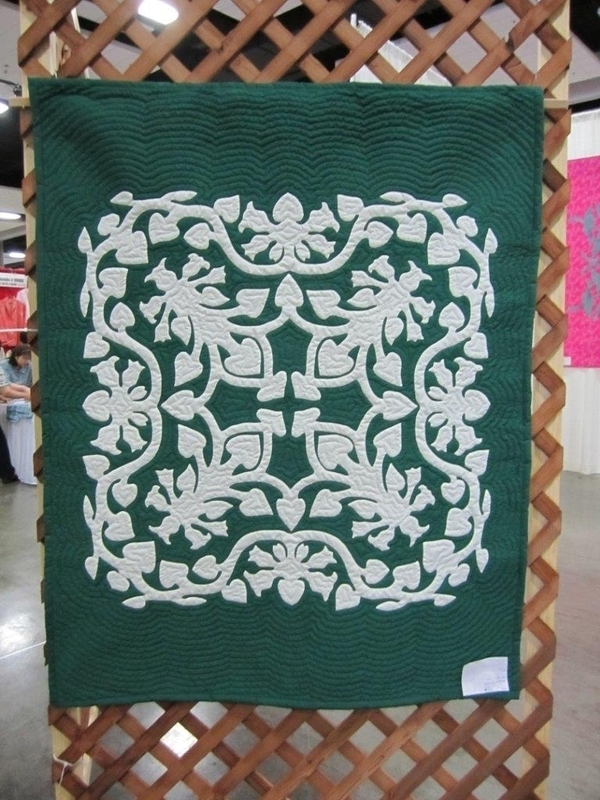 Kauai Quilt Guild. We have about 50 members who pay $25 annually in dues. 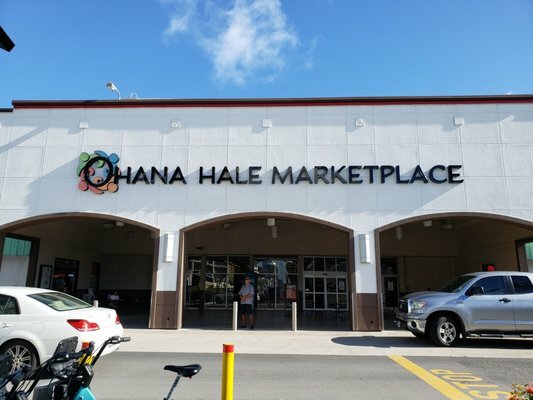 We meet on the second Sunday of the month (except July and December) from 1 to 4 pm at Chiefess Kamakahelei Middle School in the cafeteria. Our meetings combine a planned workshop with opportunities for fellowship and sharing for both members and visiting guests. 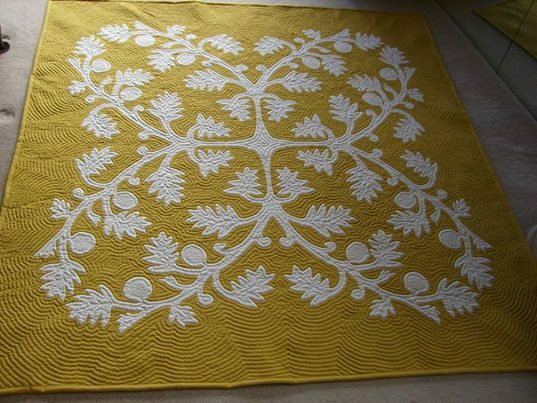 We strive to help preserve our diverse quilt heritages and traditions, to promote an appreciation for fine design and workmanship, to present educational workshops and demonstrations, and to participate in quilt projects that will be of service to our community. Contact Stephanie Buckingham at mikestephb@yahoo.com for more information.